#8 Vampire by Hanns Heinz Ewers. Third and most obviously political of the Frank Braun trilogy. Braun tours the Unites States before its entry in World War I, trying to gain support for the German cause, during which time he suffers from periods of weakness and blackouts. The question of who is the victim and who is the master is a recurrent dilemma in Ewer’s work, and one which the Nazis finally solved for him. As I near the conclusion of the KEW list, I’m finding some of Wagner’s inclusions are still hard to find. 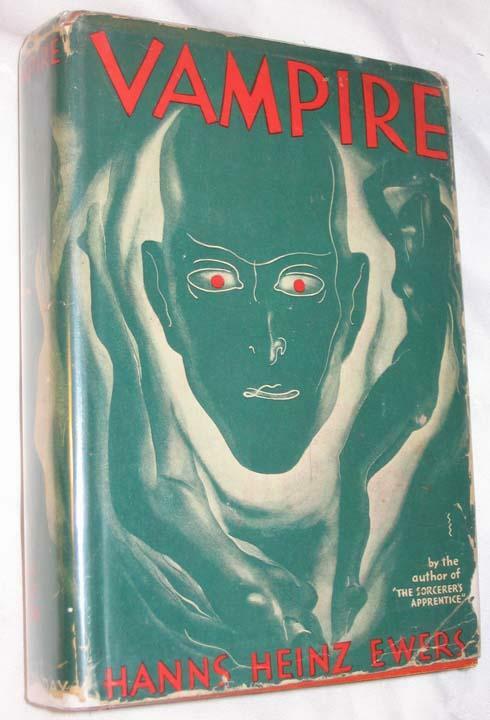 The 1934 American translation of Ewer’s Vampire can easily fetch $1000.00 if you can locate a copy. As a matter of fact, the picture I reproduced for the article is taken from an American Book Exchange listing for the novel. But thank the gods of the interlibrary loan for finding me a good reading copy, which, although not in the best of shape, makes it possible to finish my 30 year plus quest to read every book on the KEW lists. I would also like to point out there is a new English translation being prepared by Joe Bandel and you can read the chapters he has completed on-line. Vampire begins with Frank Braun, cultured German man of the world, traveling to South America. However, word soon comes to him that war has broken out among the great powers in Europe, so he decides to head home. The year is never given, but 1914 is assumed. But the ship he takes passage on soon becomes infected with yellow fever and none of the ports will let it dock. Even a British warship decides to let it go when the captain discovers the raging epidemic on board. The passengers, many of whom are circus performers, start dying off. Finally, the ship moors itself off the coast of San Francisco. Braun is able to escape the death ship by bribing a supply boat. From San Francisco he travels across the US to New York City. Hordes of German immigrants are trying to book passage back to the Vaterland, but Braun knows most of the ships will be stopped by the English navy and the passengers sent to internment camps. He doesn’t care much for all the war fever. He’s a cultured man and considers himself above the rabble. But he’s able to move the Teutonic masses in America with his speeches and writing, giving him a means to generate an income. Most of the novel follows Braun around the US as he encounters all sorts of people. Most are Germanic, but there’s plenty of other cultures as well. Vampire gives the reader a German eagle-eye view of the United States on the eve of WW I. But it’s the women Braun meets where the book shines. He has affairs with an opera singer, rich girl, and a Spanish dancer called La Goyita. But the one most dear to his heart is Lotte Levi, a German Jewish bohemian who appears again and again to him. She believes a unity between the people of Israel and German nation will solve all the problems of Europe. She also has a fetish for gemstones and lectures to Braun about the occult power of jewels.She gives him a small knife to take with him. She also checks it periodically to see if he has been “unfaithful” to her. All throughout the novel Braun experiences fainting and weakness. He thinks he may have contracted. some rare kind of disease. He only feels better when he’s around Levi, but never makes a connection. It’s only in the last few pages of the book, as the US declares for the allies in WWI, that we finally learn the nature of Braun’s sickness. This is a novel where all kinds of allegories can be drawn. 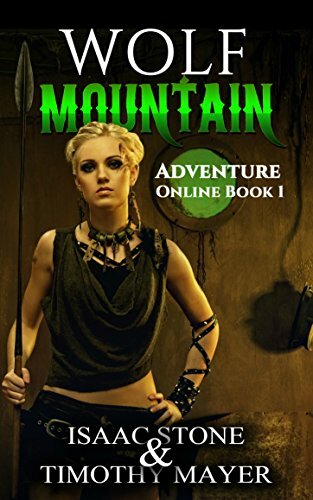 The author periodically makes comparisons between the blood lust of ancient cults and the modern blood lust between nations. In some ways Vampire is very prescient. Small wonder the Nazi’s banned Ewers’ books even after he had supported them.